Uncle Ben’s Express rice has been around for years and it's something I always have in the cupboard. These handy packets of ready to microwave rice pouches are convenient as they have a long shelf life and are quick to prepare. 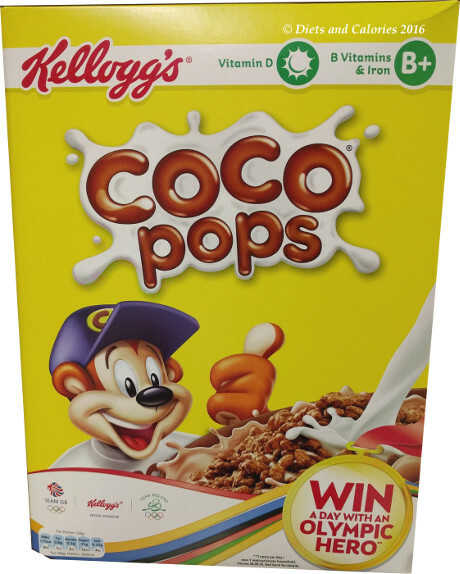 What could be easier than peeling back the edge of a pack and popping it into the microwave for 2 minutes? 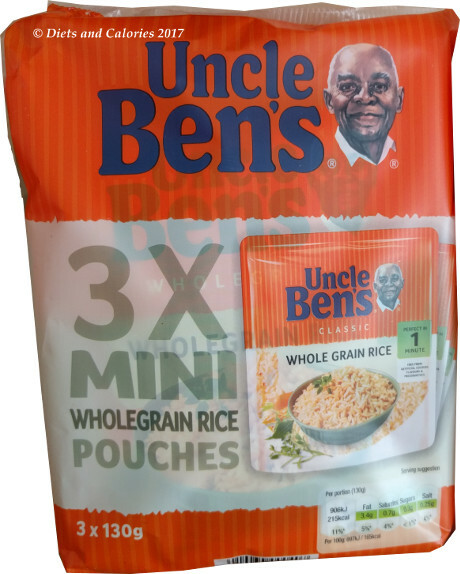 Until quite recently, Uncle Ben’s rice has only been available in 250g packets. This is fine if you’re planning on serving two or more people, but there’s really too much for one person. 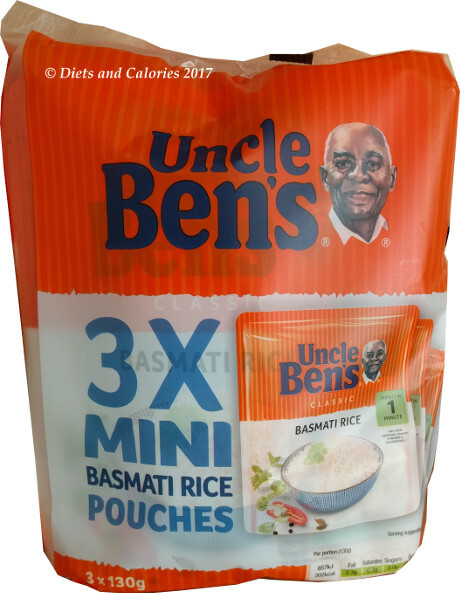 The new Uncle Ben's Mini pouches are smaller, so take even less time to heat up and they have fewer calories per pack. They’re sold in packs of 3 with each pack containing 3 x 130g pouches. Although I buy regular rice, sometimes I forget about cooking it until the rest of the meal is ready. So for this reason I always have some Uncle Ben’s rice on standby. 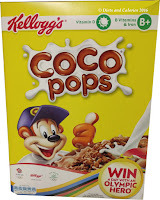 Plus they have a great range of flavoured rice which my kids love. 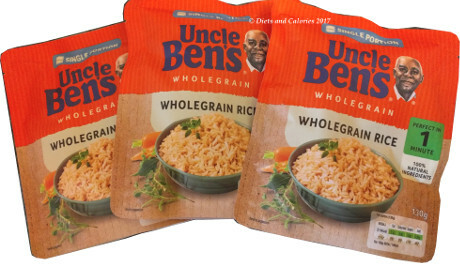 I find a pack of Uncle Ben’s Rice (250g) is enough for 4 people (though the pack says it holds 2 servings). However, when there are only 2 people for dinner, one pack of rice is too much. This is when the mini Uncle Ben's Rice pouches are ideal. 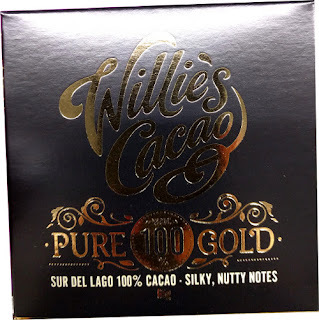 The new 130g mini pouches are supposed to serve 1 person, but I find it’s perfect for 2 or even 3 people when bulked up with plenty of vegetables. 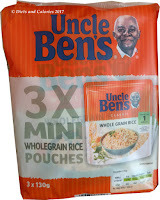 At the time of writing, Uncle Ben’s mini rice pouches are available in Wholegrain Rice, Basmati Rice and Long Grain. You can find them in most large supermarkets. Ingredients Long Grain Rice: Steamed Parboiled Long Grains Rice (99%), Sunflower Oil, Salt. Ingredients Wholegrain Rice: Steamed Parboiled Wholegrain Rice (98%), Sunflower Oil, Natural Flavouring (contains Celery), Salt. Nutrition Information Basmati Rice: per 100g: 153 calories, 1.6g fat, 0.2g saturated fat, 30.9g carbs, 0g sugars, 3.3g protein, 0.18g salt.